In this spirit I take up the discussion of Stalinism. While thoroughly rejecting Stalinism during the counter-revolution itself, Cannon noted in American Stalinism and Anti-Stalinism that it “means different things to different people.” Less than a century since, the definitions of Stalinism (and therefore anti-Stalinism) have multiplied. In 1991, two “Stalinist” groups took opposite positions on a question that would determine the future of the working-class movement in this country. The Socialist Unity Party (SUP) was a pro-Moscow organisation that dominated the trade union bureaucracy, with Ken Douglas heading the Council of Trade Unions. The Communist Party of New Zealand (CPNZ) had joined China in the Sino-Soviet split, then followed Enver Hoxha, a determined Stalinist. Both groups had real roots in the working-class and trade union movement. 1991 was the year of the Employment Contracts Act, (ECA) the essence of which remains intact to this day. The ECA would cut off union access rights; kill compulsory unionism; further restrict the right to strike; and all but demolish organised labour. This required a substantial fightback. The CPNZ was the leading socialist group in agitating for a General Strike. By contrast, the SUP placed significant pressure on trade union leaders to vote against the move, sometimes against the wishes of their membership. These two groups had a very different relation to the international state bureaucracy. The SUP formed the local branch of an international bureaucracy that had suppressed uprisings in Hungary 1956, Czechoslovakia and Paris in 1968, and been defined by Mao as “social imperialist.” The CPNZ had followed Mao in his rejection of Soviet social-imperialism, and would later affiliate to the International Socialist Tendency, an explicitly anti-Stalinist organisation. What does it mean to say both groups were Stalinist? Stalinism has its social base in the nationalized property of the Soviet Union—the product of the great revolution. It is not the continuator and legitimate heir of Bolshevism, but its antithesis. 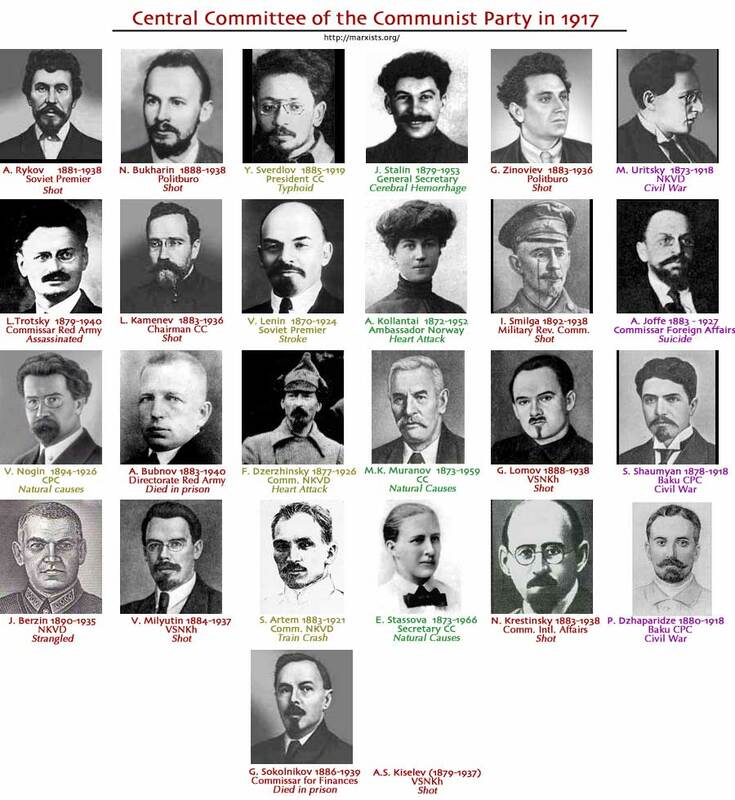 The Stalinists, a privileged bureaucracy which fastened itself on the Soviet state in a period of its degeneration and decline, had to liquidate in blood virtually the whole generation of the original Bolsheviks, before they could consolidate their power. Most anti-Stalinists, especially the professionals, identify Stalinism with communism. This only serves to embellish Stalinism in the eyes of the radical workers, to reinforce their illusions, and to strengthen the position of Stalinism in their midst. We now see the flipside of this, how the discrediting of Stalinism has discredited communism for many workers. This partially confirms Mike Kay’s argument that the left suffers from post-Stalinist disorientation. However it needs to be taken further. In a brief article entitled Three-Phase Stalinism, Marxist intellectual Ernest Mandel partially accepts “[the] position that a stalinist or neo-stalinist party is one which subordinates the interests of revolution (i.e. of the working class) in its country, to those of any state bureaucracy.” However he notes that not all Stalinists have a state bureaucracy to defend; for example pre-revolution Hoxha, Mao or Ho Chi Minh. Mandel treats Stalinism dynamically, as something movements depart from and uphold aspects of, not something fixed and absolute. Mobo Gao’s The Battle For China’s Past: Mao and the Cultural Revolution teases out the class contradictions within Chinese society, and the way they affect memories of the revolution. Gao was a peasant during this period, and as an academic campaigns against caricatures of the revolution by the Chinese intelligentsia. One of the primary differences between the Stalinist Soviet Union and the Mao era in China is that, unlike Stalin who employed an efficient and iron state machine to crack down on political opposition, Mao… mobilised the masses and let them consume the truth and belief values of class struggle in practice. It’s important to understand that the Cultural Revolution mobilised the masses against a layer of Stalinist bureaucracy. This ‘revolution within the revolution’ was a major departure, in fact a plain reversal, of Stalin’s approach. Contrary to the common depiction that revolutionaries were forbidden to read anything but the Little Red Book, publications, cinema and cultural clubs proliferated during this period – along with the circulation of previously prohibited material. Some revolutionaries even departed from Mao, considering his works insufficient. This upsurge in struggle, connected to a rejection of Soviet social-imperialism, helped galvanise the New Left throughout the West. Mao remains a popular figure in Third World struggles, including struggles against the party bureaucracy in China. Let us suppose that one day [the SWP] succeed in leading the British working class to a siezure of power. What type of society would emerge from this victorious revolution? A socialist society? Have the SWP comrades been suddenly converted to the reactionary utopia of socialism in one country? A state capitalist society because of the “the pressure of competition from the world market”? Workers’ power would scarcely be in a position to counter this pressure in Great Britain alone. Would their efforts have then been in vain? A socialist society by virtue of the fact that the British revolution “would immediately spread to the rest of the world”? But if that does not happen, or at least not for some time, wouldn’t Britain then be a transitional society between capitalism and socialism which all advanced workers and communists/socialists would unite in an effort to protect from the dangers of bureaucratisation, even if they couldn’t elimate them entirely? What is the point of rejecting today the very concept which one would be forced to apply tomorrow? It would be idealist hubris for any group to claim the answers to Mandel’s questions, the problem of how a revolutionary administration functions in isolation. Our organisation formed from a merger of pro-Trotsky and pro-Mao elements, who figured that these differences shouldn’t prevent revolutionary unity. This had the affect of obscuring historical questions, particularly the continued impact of Stalinism. In functioning as the “memory of the class,” we must study and debate these historical problems, before we consider aligning ourselves with any one tendency. One thing I’m not sure you draw out about the CPNZ in its Hoxha-ite days is that the Hoxha-ites had gone from “the Khrushchev bureaucracy has restored capitalism in the USSR”, to “all the other communist countries have restored capitalism except Albania”. After the collapse of the PPSH regime in Albania, it’s not actually that strange that the next step was to move to a position that all the communist countries had been state-capitalist since Stalin. However, also remember that the CPNZ’s initial formulation of this was anti-Trotsky as well as anti-Stalin – the move to Cliffite Trotskyism came later. Also, remember that the SUP was strong among the union bureaucrats (who got free holidays to Ukrainian beach resorts, etc) while the CPNZ were made up of rank-and-file union militants. The CPNZ tradition thus, despite its authoritarian organisational structure and support of very rigid dictatorships, always had a healthy disrespect for authority – part of what Grant B calls “the red thread” extending through its history. Yeah, the trajectory makes a bit of sense to me, it just shows how little the term “Stalinism” captures. Because it’s hard to deny that until some point in the ’90s they were Stalinists, but what does that mean? Also yeah thanks for fleshing out that point. We should think of this stuff in terms of historical orientations and approaches, rather than purely history-of-shaving. Daphne attributes the “red thread” concept to myself. This concept points to a revolutionary continuity in the CPNZ right back to Bolshevik Russia (despite all sorts of leftwards, rightwards and some downright wacky turns over the years), which I do believe is real. But I did not come up with the idea. As far as I know, the term was coined by Jack Locke (father of Keith MP), who joined the CPNZ in 1936 and remained with us until his death sixty years later. He lived through most of these turns himself and was a strand in the red thread himself. Marx’s idea of proletarian dictatorship, tried in several countries, is worth discussing. Is it a good solution of today’s problems? I do not think so. The more people know about proletarian dictatorship the less likely will we experience it. Were Poland and the USSR proletarian dictatorships in those periods though? The important point about proletarian dictatorship is that its flipside is proletarian democracy, just like bourgeois (or capitalist) democracy has a flipside of dictatorship. However over the Civil War, with the new state so heavily under attack, the Soviets withered away. It’s kind of hard to maintain a revolutionary administration when you’re under attack by 14 states. When the new society emerged in 1921, there wasn’t the same organised basis for a new democracy. That meant you had bureaucrats taking control, and then a prolonged descent towards capitalist restoration. Mandel has it right I think; there aren’t easy answers to the question of bureaucracy. But I definitely think humanity is capable of replacing capitalism with a system run for social need, it’s just a question of how we get there. That’s not quite true, Ian – It’s fairly clearly documented that the replacement of genuine Soviet democracy by Bolshevik dictatorship predated, and expanded to a fair extent independently of any civil war related pressure. Maurice Brinton’s The Bolsheviks and Workers Control has an excellent outline of this, and I know Iain McKay has written a lot about it also (though I prefer Brinton’s style and the fact that he provides a lot more documentation directly). Stalinism is the idea of socialism in one country and the idea of nationalizing everything to the state. A good example of this is north korea. anti stalinism is going against the bureaucratic forms of govt in the USSR and prefering a non totalarian socialist country. Think we have to go a bit deeper than that. Trotsky may not have called for “socialism in one country,” but he was trying to establish socialism in Russia, and in doing so (with the isolation of Russia) he militarised labour. Clearly though there are precedents for worker’s/mass democracy, including struggles that ignited in 2011, and we have to support a bottom-up approach to establishing a new society. 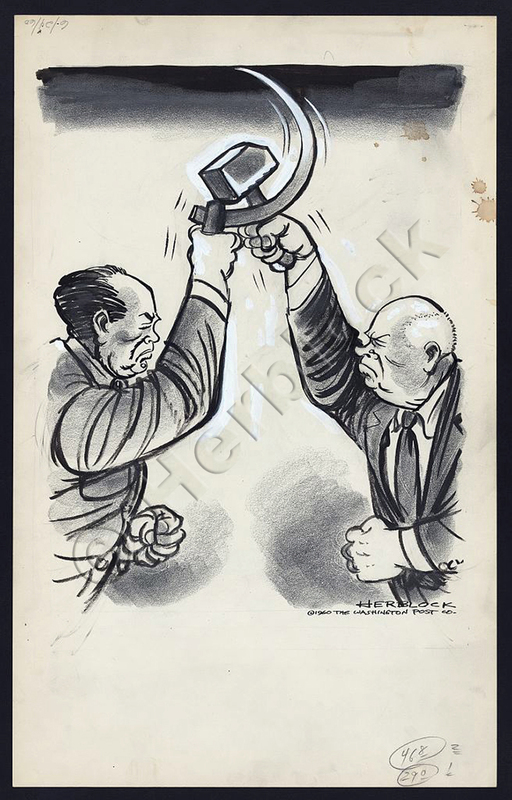 Mao and the CCP actually supported the crushing of the Hungarian counter-revolution. But opposed the Warsaw Pact invasion of Czechoslovakia in 1968, which of course happened well after the sino-soviet split. It was this intervention which was condemned as social imperialism. 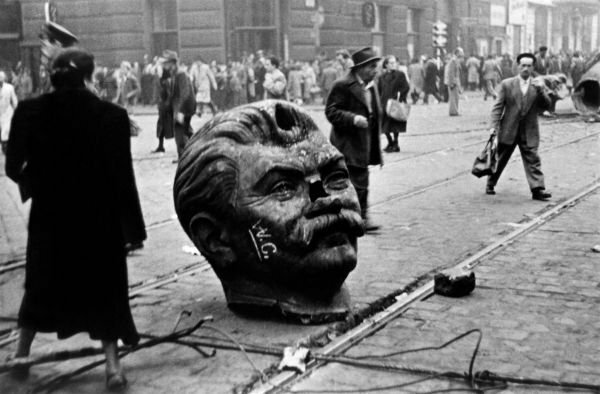 Mao and the CCP never condemned suppression of the Hungarian uprising, and still do not. In fact there is strong historical evidence that it was the Chinese communists who stiffened a wavering Khruschev’s backbone and demanded that he send Soviet troops in.to suppress counter revolution. I tend to disagree. In my opinion it is the first step toward formulating a better program for peace and justice. The Soviet experience with the idea of proletarian dictatorship should not be ignored. As a physicist I was trained not to ignore experimental data. All data are valuable, good and bad. Karl Marx would probably agree with this.